Early Childhood: Research that benefits children and families-Uplifting story! Research that benefits children and families-Uplifting story! My own undergraduate research study benefitted children in many ways. 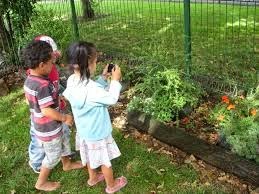 I did a research on the topic, “Constructive Processes that Children Learn from Digital Camera”. From this research, I have learned that it’s not about the product but the process that is more important in child development. At the beginning of my research many of the children in my research have never used camera and this research study provided them an opportunity to learn from digital camera. From eight weeks of study, children went through different stages and learned to use the camera. From this study, students learned skills like problem solving, taking turns, spatial awareness, eye-hand coordination and many more. In today’s world, I find it very important that children learn to use tools. I personally would like to do more research like this in future and moving with the modern pace and also teach children. At the same time, we also want to limit the use of technologies, if the use of the technologies benefits the children in learning, then why not? You made an excellent point when you stated that the use of technology should be limited for children. Technology can certainly help children learn but too much technology can negatively affect very young children. I enjoyed reading your post. I think your research study was very beneficial in seeing how children can learn through their environment and tools. I think using tools and different technologies is very beneficial to children. You are right that we should limit the use of technology and to make sure that when it is being used it is a benefit for them instead of a hindrance.